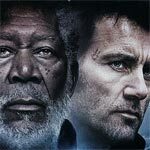 Last Knights might’ve had a good story at its core but it’s a really forgettable film with one-dimensional characters and acting that at best was average if not a bit spotty while the action scenes are rather mundane and blasé. The Blu-ray released by Lionsgate isn’t much better though the video/audio transfers are decent enough and at least there are some bonus material to peruse. Raiden (CLIVE OWEN) is the commander of an elite army serving their master, Bartok (MORGAN FREEMAN), who watches over his estate, a vassal kingdom within a vast empire. The empire is looked over, in service of the emperor, by a cabinet minister named Geza Mott (AKSEL HENNIE), whose sole purpose is to take bribes from the masters of their respective estates. Bartok, called in by the emperor, no longer wants to play ball and gives Geza a cheap “gift” which is not well received. For Bartok’s efforts, Geza beats up on the old man, who is dying of some ailment anyway, and in defense, manages to strike back whereupon he’s caught, arrested and presented before the Emperor (PAYMAN MAADI). He’s to answer for his crimes, which he admits, before making a passionate confession to those in the audience about the corruption within the kingdom. But his pleas fall on deaf ears and the Emperor decrees Bartok is to die and, as suggested by Geza, he should die by Raiden’s sword; given to him by Bartok in making Raiden heir to his estate having no living son. Of course Raiden is reluctant but ultimately fulfills the order given to him by his master. Fast forward a year, after he disbands and disavows his army, Raiden is reclusive and a drunk, apparently unable to cope with what he had done. The others in his former unit have spread across the lands taking any jobs available while Geza, already paranoid, orders his closest guard (TSUYOSHI IHARA) to follow Raiden and the others making sure they were not conspiring against him for revenge. 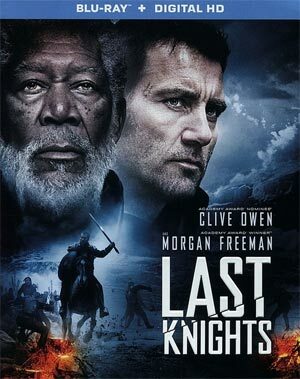 Last Knights has a half-decent story going for it, it’s just a shame it doesn’t amount to very much and despite its respectably lengthy 114-minute running time, the character development is wanting and Clive Owen, albeit not a terrible actor (was great in Closer), doesn’t exactly exude charisma, though he’s not given a whole lot to work with. 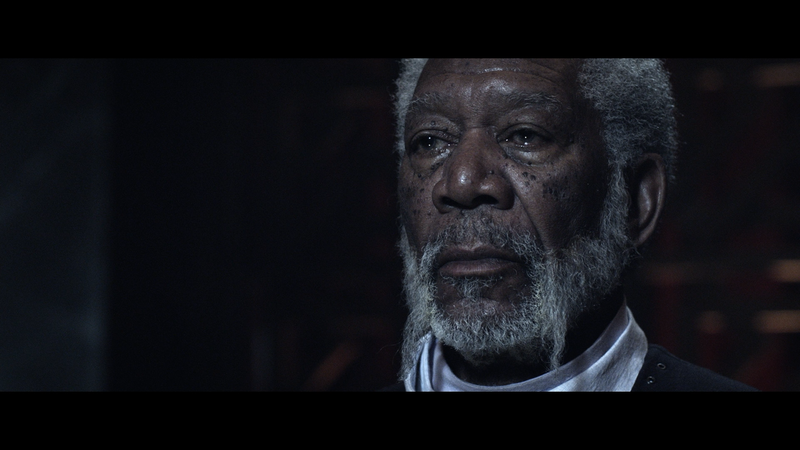 Morgan Freeman makes his now normal cameo-esque appearance and does provide at least some weight to a mostly unknown cast, but he’s gone within 20 minutes. 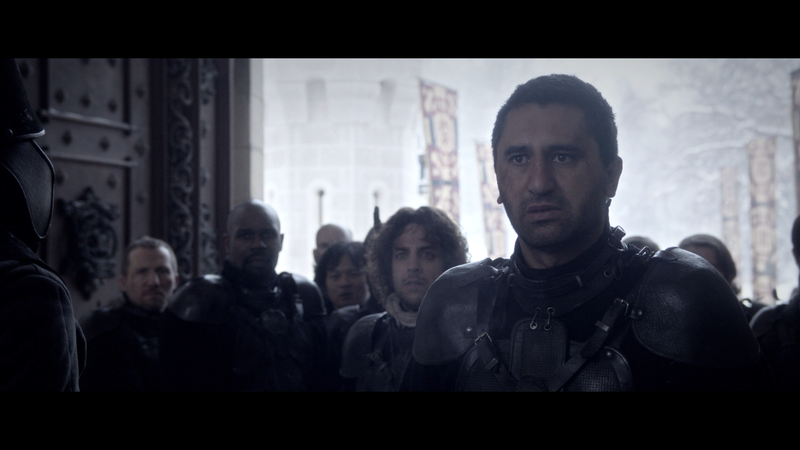 Cliff Curtis isn’t all that bad but plays the thinly written best friend/sidekick role we’ve seen countless times. Oh and the villain, I haven’t seen one so cowardly or laughably un-scary since Loki in the Marvel movies. Directed by Kaz I Kiriya, marking his English debut following stints as a stills photographer, the action sequences also were on the bland side. As with the acting, I didn’t think the sword fights were terrible so much as it was incredibly forgettable; heck even after only a few minutes upon the film’s conclusion I could not recall one fight scene. Not one. 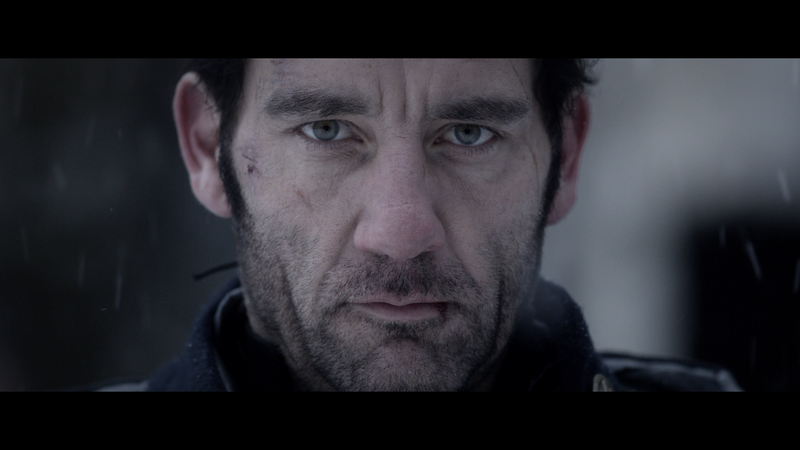 Last Knights is the type of movie where it’s no wonder it didn’t receive a major, or even minor, theatrical distribution, destined to be forgotten on home video before in a year’s time will probably air on SyFy and the like. This release comes with a semi-glossy slip cover. Inside is a slip with a redemption code for the Digital HD copy. Behind the Scenes of Last Knights (22:03; HD) goes over the origins for the movie and has some generic on-set interviews with members of the cast and crew chatting about the characters and other elements. 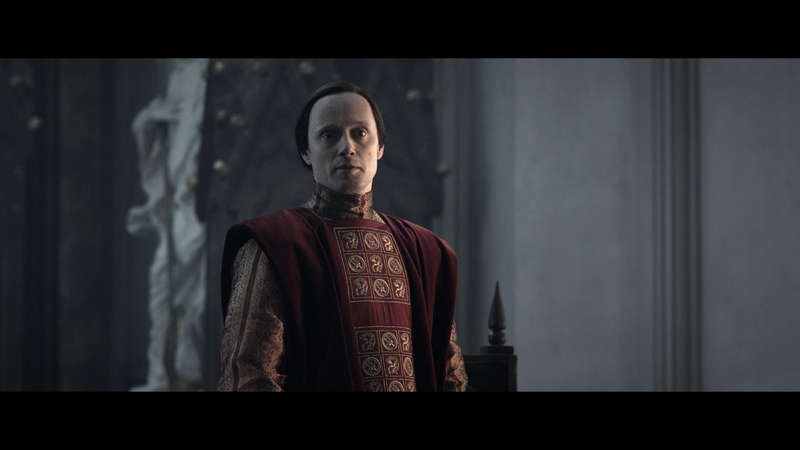 A Look at the Special Effects of Last Knights (5:04; HD) breaks down the VFX and how they were accomplished. Interviews with the Cast and Crew (TRT 33:34; HD) – Here we get extended comments from a variety of those involved including Director Kaz Kiriya (6:50), Morgan Freeman (2:59), Clive Owen (4:52), Cliff Curtis (3:20), Payman Maadi (4:10), Tsuyoshi Ihara (2:34), Dave Legeno (4:30) and Director of Photographer Antonio Riestra (4:19). 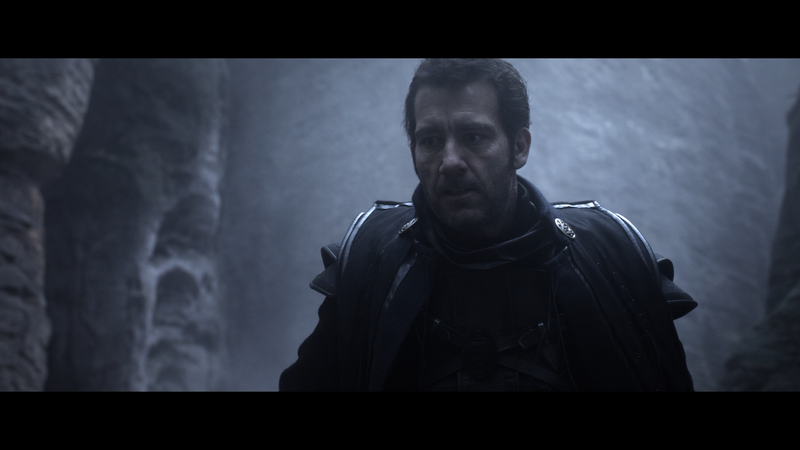 Last Knights charges onto Blu-ray presented with a 2.40 widescreen aspect ratio and a 1080p high-definition transfer. The video shown isn’t outstanding but showcases good detail throughout while colors aren’t terribly bright but instead muted in keeping with the film’s darker tone. I didn’t notice any major flaws like aliasing or pixilation though some banding is present. Surprisingly, the 5.1 DTS-HD Master Audio track isn’t exactly the most robust lossless track I’ve come across. It’s not terrible mind you offering good dialogue levels and the action scenes do show some depth but it’s nothing I’d call resounding or amazing which, for a newer release, is disappointing. 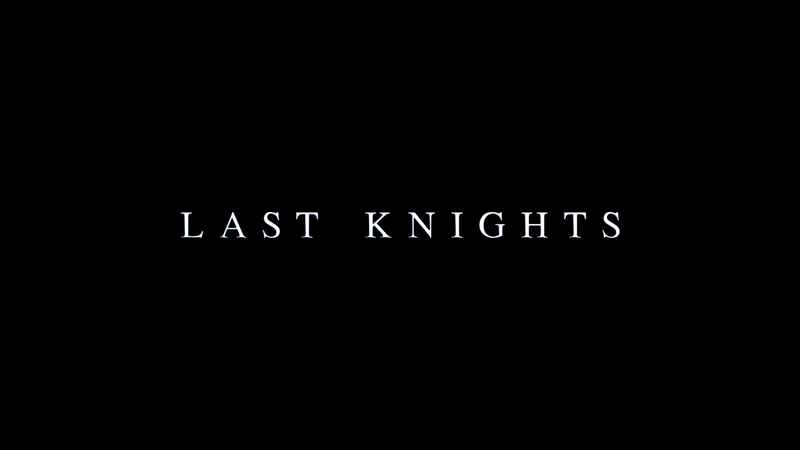 Overall, Last Knights might’ve had a good story at its core but it’s a really forgettable film with one-dimensional characters and acting that at best was average if not a bit spotty while the action scenes are rather mundane and blasé. The Blu-ray released by Lionsgate isn’t much better though the video/audio transfers are decent enough and at least there are some bonus material to peruse.